Why are liberal Jews in shock? In one month (March, 2015), we all watched before our very eyes Netanyahu tear out of its socket the left arm off his country and off the liberal base of his support in the United States and the American Jewish community. It has not been a pretty picture. –The speech at the U.S. Capitol shredded a bi-partisan consensus that the Jewish establishment spent blood, sweat, and tears to create over decades. He turned Israel into a Republican political axe with which to batter a president whom half they country hates, and whom half the country supports, including most American Jews in overwhelming numbers. –By rejecting the 2 state solution, he tore out the only thing standing in the way of Israel turning into bi-national state apartheid state. Since the early 1990s, this was a consensus position. Jewish institutions have gone to the mat for a Jewish majority democratic state. If all that comes of this is occupation-apartheid, liberal-left Jews in Israel and the majority of American Jews will turn away from this grotesque thing with the revulsion it deserves. 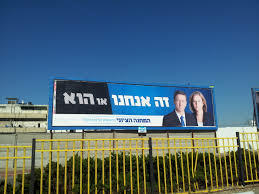 –In baiting his camp with the specter of the Arab vote and leftist perfidy, we all watched with our own eyes the Prime Minister of Israel cynically trampling democratic norms, primarily the principle of equal citizenship enshrined in the country’s declaration of independence. Others will argue otherwise, but it’s not that liberal Jews are naïve. No one ever doubted the serious external threats faced by Israel, and the serious political and ethical and challenges that beset the State of Israel internally. It’s one thing to “know” all this. It’s another thing to “see” it dramatized with such quick and sudden clarity. There’s no way to walk this back. Before the eyes of the world, Netanyahu ripped up the rules of the game with calculated brutality. At the UN and other international bodies, in the EU and on university campuses, Israel will reap the whirlwind and there’s not a thing we can do about it. He tore off the country’s left arm, and the strong liberal arm of the U.S. Jewish community. This entry was posted in uncategorized and tagged American Judaism, Israel. Bookmark the permalink. So to set the record straight – Netaniyahu wants a two-state solution, but has set conditions under which he will accept such a solution. That might shock you, but that’s how people actually negotiate – both sides can present their terms and objectives.